Raised in Northwest Ohio (Fostoria), Chet began playing the piano at the age of 4 and studied with Mrs. Rita Schultz, William M. Lininger, then for several years through the Creative Arts Program at Bowling Green State University under Helen Lakofsky. While continuing to play the piano, Chet went on to play several brass instruments, including trumpet, flugelhorn, french horn and spent 2 years on valve trombone. He attended the Stephen Collins Foster Music Camp at Easter Kentucky University, as well as Ohio Northern's Music Camp for all six years, and was a camp counselor at Blue Lake Fine Arts Camp in Blue Lake, Michigan. He marched for two years with the Toledo Glassmen Drum & Bugle Corps (one of the worlds top corps) as a lead soprano and soloist, playing throughout the Mid-West, and from Montreal, Canada to Miami, Florida. Chet eventually went on to pursue music more seriously by studying at the College-Conservatory of Music in Cincinnati, Ohio. A graduate in '88, there he majored in Jazz Performance on Trumpet and Piano, and studied with Tim Hagans, Frank Vincent, Rick Van Matre, Pat Harbison and Phil DeGreg. While in college Chet took advantage of certain musical opportunities, such as playing piano on a cruise ship (Sea Escape Cruise Lines) and for a while would even take a Greyhound bus back north to play with Stan Sterners Big Band, which was based in Findlay, Ohio. Chet involved himself with a number of groups while in the Cincinnati area, including The Park Avenue Band, Stacy Mitchhart and Blues-U-Can-Use, The Junglecats, ACJ, Mr. Vegas and Jack Pot, the Devon Wells Quartet, and the Chet Chwalik Jazz Quartet, and had the pleasure of accompanying Red Rodney (who played with Charlie Parker) on a version of Miles Davis's "So What". Where possible Chet has enjoyed playing both horn and keys in these groups. While in these various groups, he has opened up for the Yellow Jackets, Hiroshima, The Guess Who, and the Classic Rock All-Stars. After moving to Northern Ohio, Chet went on to play with other groups, such as Alusion (Classic Rock band), Off The Record (Top 40 Dance/Wedding band), Mogen David and the Grapes of Wrath, and The Hepcat Revival. Chet also played keyboards and trumpet with The Overton Project, a funk/smooth jazz group. 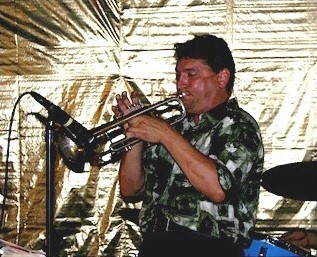 Chet has played lead trumpet as well as piano with The Paul Jeffries Band and the Runyan Jay Big Band and has played trumpet and piano with "Swingmania." Chet rounded out his gig schedule by often playing piano with the popular "Cookin'" group at Rusty's Jazz Cafe, featuring Leon Cook on guitar and vocals, his son Damen Cook on drums, Joel Hazzard on bass, and Tony Ben on percussion. Among his influences Chet credits Freddie Hubbard, Woody Shaw, Tom Harrell, Dexter Gordon, Joe Henderson, Miles Davis, Chet Baker, Bill Evans, Keith Jarrett, Herbie Hancock, Tim Hagans, and Pat Harbison. Chet currently lives in the Sacramento, California area. He performs frequently with local jazz singer Valerie V, and often with drummer and composer Mat Marucci. Chet has also performed with Margie Ruiz, Nicole Hodson, and Joey Ventitelli, as well as in duos, trios, quartets, big bands, and doing solo jazz piano work. Chet established his teaching business, The Tuning Note, teaching piano, trumpet and jazz improvisation to both school-aged and adult students. All lessons are customized to each student's goals and needs, including several professionally made play-along files, custom-made for all styles. Each student receives their own OMP (Online Music Portfolio): their own set of customized web pages (personalized glossary, Audio/Video page, Games and Learning Tools, and more). Chet worked for years at Unity of Sacramento church (formerly known as Christ Unity Church) as accompanist, then Assoc. Music Director, and for 2013 through early 2014 Chet was Director, Dept. of Music and Performing Arts. There he performed on piano/keyboards, trumpet/flugelhorn, created several charts and arrangements for services and concerts (including various string and horn section parts), acted as band leader, acted as Conductor for multiple performances of selections from "The Messiah" (including conducting strings, brass, vocal soloists, and choir), and also gave an occasional Theory class to the choir. Most notably was Chet's dedication to the 2013 Christmas Concert, "Hallelujah, It's A Swingin' Christmas!". For this concert Chet: hired a 17-piece big band, transcribed and generated all the necessary parts, directed the band, arranged a number of jazz choral numbers and directed them, sponsored the stage decoration (including providing much of it himself), sponsored the DVD recording and production, created full color multiple-page programs, and catered the event for all musicians involved. Additionally while at Unity of Sacramento he created an online web application for all sheet music, for all past and ongoing music. He remains available as needed, including producing charts for services and as a performer for concerts. 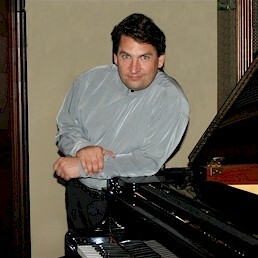 Chet is a professional accompanist, having accompanied the choirs at Folsom Lake College, Folsom High School, area middle schools (Sutter Middle School, Folsom Middle School, Mills Middle School), students at UC Davis, the jazz choir at Christian Brothers High School, and other teaching studio's recitals. Chet also created the TTN Brass Quintet, performing the works of Clarke, Purcell, Pachelbel, Mouret, Handel, Bach, Haydn, Dukas, and many others. He also writes and arranges music for this group. Chet has also performed on trumpet with the Roanoke Symphony Orchestra and the Folsom Lake Symphony Orchestra. He has also hosted one of the longest running jam sessions for jazz musicians. Additionally Chet continues to enjoy his heritage performing the music of Poland as well as popular polkas with his Polish Band "Pol_Muz, Polska Muzyka z Sacramento," playing festivals both in San Francisco and Sacramento, and several other events. As Chet returns to Ohio he continues to play with groups in the Toledo, Ohio area. An accomplished composer and arranger, he can be heard on his two recordings, "Six Years to the Second" (1999); and "...Merry Christmas to You" (1994), as well as "Missin' the Train" (courtesy The Hepcat Revival, 1999). Chet primarily plays the Yamaha CP4 Stage Piano, Alesis QS8, as well as the Getzen Eterna 700 trumpet, Blessing ML-1 trumpet, Schilke MII trumpet, and Yamaha YFH731 flugelhorn. Chet also primarily uses the Purviance 9A mouthpiece, 14A4A Schilke mouthpiece, as well as the 14F4 flugelhorn mouthpiece. Acquired August 2015: Baldwin SD-10 9-ft Concert Grand piano, owned by Dave Brubeck from 1978-1995! Chet can also be heard on his recording of lullabies, "To Dream Is To Believe". This recording was created as a gift for his children and is full of gentle, peaceful music, yet with an improvisatory approach that makes it all the more unique among recordings for children. Chet's latest project is being Director and playing trumpet with his sextet, the Sacramento Classic Jazz Messengers, playing some of his favorites from the Art Blakey group of the mid-60's, as well as a number of original compositions. Additionally Chet plays with Mat Marucci in the Classic Jazz Organ Trio, which plays the music of Jimmy Smith and others. Chet hosts a monthly jazz jam session the 4th Tuesday of every month at Nicholson's MusiCafe in Folsom, CA. Chet continues to work with his music business, The Tuning Note. In addition to having over 30 students (as of June 2017), Chet continues to do audio transcription/chart creation. Chet is also the Director and pianist for the Valerie V Jazz Orchestra, which has played several dates at Cache Creek Casino. Upcoming projects include starting a new jump/blues swing band. Chet also works as a piano tuner, providing a discount to existing students.